Outlook: After a franchise-record 108 wins last season, the only box left for the Red Sox to check is back-to-back World Series championships. They haven't done that since 1915-16. He's Here: LHP James Paxton, RHP Adam Ottavino, INF DJ LeMahieu, SS Troy Tulowitzki, LHP Gio Gonzalez. Hot Spot: Trainer's Room. 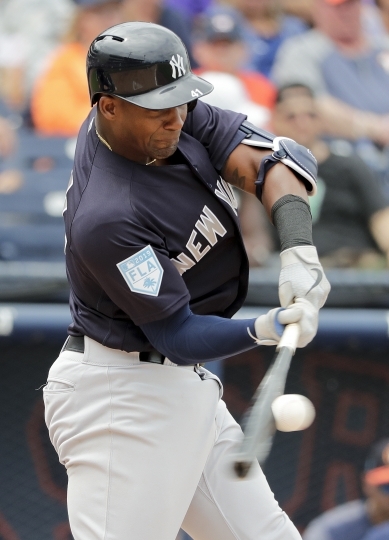 The key hot spots for the Yankees are flare-ups on medical scans, with shortstop Didi Gregorius (.268, 27, 86, out until summer following Tommy John surgery), Hicks, Severino, Sabathia and forgotten outfielder Jacoby Ellsbury all starting the season on the injured list. 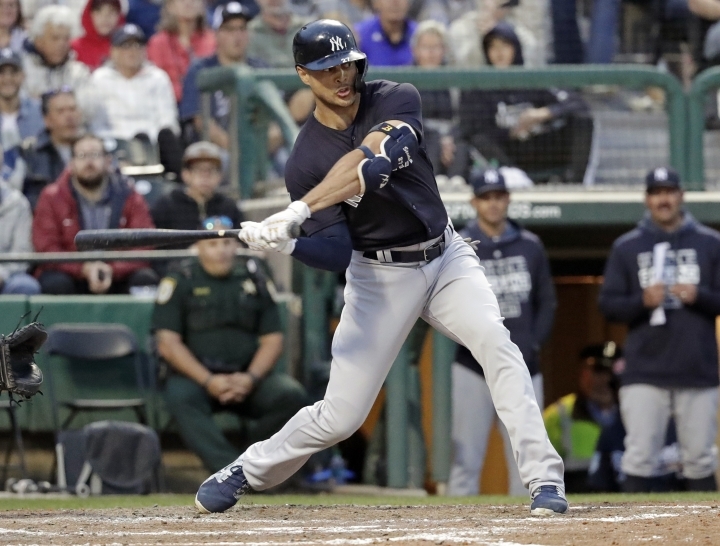 The biggest competition at spring training, between Voit and Bird for the first base job, is likely to extend into the season because of Hicks' injury, which probably will lead to Bird as a designated hitter against right-handed pitchers until Hicks returns. Tulowitzki is the preferred starter at shortstop as he returns from heel surgery, but LeMahieu is expected to see time all over the infield. He's Outta Here: Coaches Rocco Baldelli and Charlie Montoyo — left to become managers of the Minnesota Twins and Toronto Blue Jays, respectively — OF Mallex Smith, 1B-OF Jake Bauers, RHP Sergio Romo, 1B C.J. Cron, RHP Chih-Wei Hu, OF Carlos Gomez, C Adam Moore, LHP Vidal Nuno. Hot Spot: Starting Pitching. While Cy Young Award winner Snell, who led the majors in wins and posted the AL's lowest ERA, heads a potentially superb three-man rotation also featuring Morton and Glasnow, the Rays also plan to continue using "openers" — relievers who start games and generally face three to nine batters — in place of traditional fourth and fifth starters. The creative use of relievers was an integral part of Tampa Bay's surprising success a year ago. In addition to catching the attention of other teams that have tried variations of the strategy, the concept also has critics who say it devalues the role of starting pitchers. Outlook: Winning 90 games despite a massive roster overhaul has heightened expectations for a young team that wants to prove last season wasn't a fluke. The Rays went 41-25 after the All-Star break, including 19-9 in September, and feel they have everything necessary — pitching, defense and the prospect for an improved offense — to close the distance between themselves and division rivals Boston and New York to contend for a playoff berth. The lineup will have a different look with the addition of Garcia and Zunino. Diaz and Meadows are young players who will be given opportunities to make an impact, as will Pham, who hit .343 with seven homers and 22 RBIs over 39 games after being acquired from St. Louis in a trade. He's Here: RHP Clay Buchholz, INF Freddy Galvis, RHP Matt Shoemaker, RHP David Phelps, LHP Clayton Richard, RHP Bud Norris, RHP John Axford, INF Eric Sogard, RHP Jason Adam. He's Outta Here: Manager John Gibbons, C Russell Martin, RHP Marco Estrada, SS Troy Tulowitzki, INF Aledmys Diaz, INF Yangervis Solarte, RHP Oliver Drake, RHP Tyler Clippard, OF Dwight Smith Jr. Hot Spot: Pitching Staff. There's talent but also a history of injuries in the rotation. Stroman missed time with shoulder and blister problems last year, while Sanchez has endured consecutive seasons of blister and finger woes after winning the AL ERA title in 2016. If those two are healthy and effective, the Blue Jays will have a base to build on. 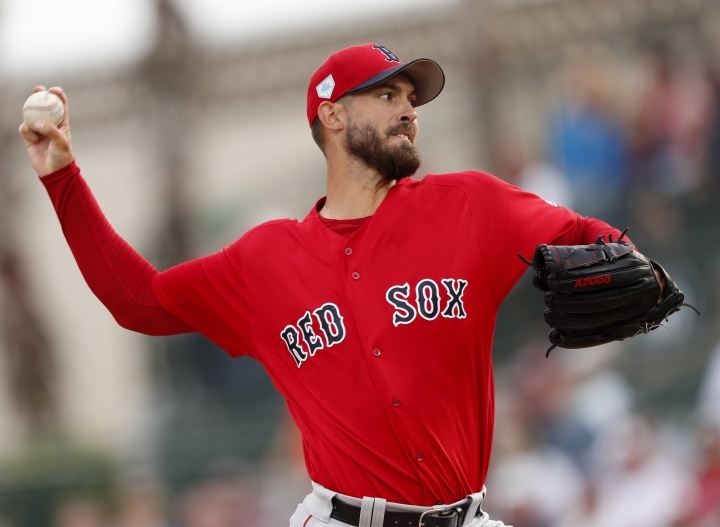 Toronto added depth by signing Buchholz, a two-time All-Star, during spring training. While he won't be ready for opening day, the veteran righty impressed by going 7-2 with a 2.01 ERA in 16 starts for Arizona last year. In the bullpen, arm injuries to established relievers began cropping up late in spring training, making the bridge to Giles uncertain. Outlook: The Blue Jays can expect some growing pains as they take the first steps of a youth movement and rebuild. The centerpiece is star prospect Vladimir Guerrero Jr., who will miss the beginning of the season because of a strained left oblique. Once healthy and ready for his big league debut, Guerrero could immediately add a dangerous bat to the lineup. While he certainly looks ready to hit at the major league level, there are still several questions to be answered about Toronto's other young players. He's Here: RH Nate Karns, INF Richie Martin, INF Rio Ruiz, C Jesus Sucre, INF Hanser Alberto, SS Alcides Escobar, OF Dwight Smith Jr., INF Drew Jackson. He's Outta Here: Manager Buck Showalter, OF Adam Jones, INF Tim Beckham, C Caleb Joseph, DH Pedro Alvarez, LHP Donnie Hart. Hot Spot: Bullpen. Zack Britton and Darren O'Day were dumped as part of the late summer purge, leaving a variety of relievers with not much of a track record. Givens throws hard, but his performance last season represented a huge drop-off from 2017, when he went 8-1 with a 2.75 ERA. Bleier was sharp before sustaining a season-ending injury, and there's no telling if he will return to form. Castro, Scott and Fry run hot and cold. The Orioles probably won't have too many save opportunities, so it's crucial they convert them when possible. Whether that happens is very much up in the air. Outlook: The Orioles are in full rebuilding mode under Hyde and first-year GM Mike Elias. Untradeable veterans Davis and Trumbo stand in the middle of a lineup filled with players learning on the job, although Villar showed signs of promise after being acquired last summer from the Brewers. It's essential that Cobb, Bundy and Cashner rebound from horrible seasons, or Baltimore will likely lose 100 games for the second year in a row. The goal for the Orioles is to be competitive and provide evidence that this overhaul has the potential to pay off down the road.